But for a while recently I was in that panic-inducing state of having nothing to read. But a good browse in the wonderful Ramalama Book Exchange in Wonthaggi got me by. 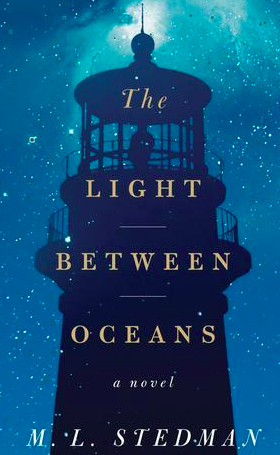 There I found one of the most beautiful stories I've read for a long time: The Light Between Oceans, by M.L Stedman. '...we are swept into a story about extraordinarily compelling characters seeking to find their North Star in a world where there is no right answer, where justice for one person is another’s tragic loss'. The fabulous setting on a remote island with the lighthouse keeper certainly helped. Read it and be changed. Then I bought The Fisherman, the much anticipated debut novel by Nigerian writer Chigozie Obioma. 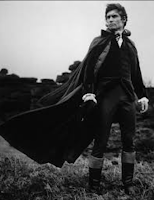 I'd so loved his beautiful essay 'The Audacity of Prose' that I couldn't wait to read his book. It did not disappoint, a gripping story and so 'novel' with its setting of an unfamiliar Nigeria in which characters swayed between that culture and the infringments of the western world. Mysticism, superstition, danger, the powerful ties of family and a sense of foreboding right from the beginning—all combined to chart the destiny of the so easy-to-love brothers and the terrible fate ahead for them. I tried Gary Crew's The Diviner's Son and was so depressed by the premise which involved a boy chained up by the ankles in a sideshow caravan that I put it away after the first few chapters, figuring that my life would not be enhanced by carrying that image in my head for one moment longer than I had to. I know, what a sook. And then I got a cold. One of those head colds that makes you a thorough misery-guts to live with and keeps you coughing, night and day, for weeks on end. So I hit the easy reads. Having heard Liz Bryski speak at the Writers Festival I noticed several of her books on the shelves of another favourite book exchange, so I bought four. (I had read one of hers previously but I forgot, and bought it again.) I'm sure there's a huge market for these books with their subject matter of vaguely disenfranchised women busting out and 'finding themselves' but—suffice to say they were ideal for someone functioning on just the two cylinders, with a head cold and a perpetually runny nose. I look at them now and for the life of me can't remember the plots of any of them. It has been called 'the grown-ups' Harry Potter'. Not sure if that's a good thing or not. Anyway, that should keep me going until my study term ends, by which time I might decide to read Wuthering Heights again, in the hope that this time Cathy comes to her senses and marries Heathcliff instead. Please never stop blogging! I am storing up lists of titles to offer as Christmas gift suggestions and to buy for myself if the hints aren't taken. I enjoy your writing so much, thank you. Well I hope they deliver for you! I've just been looking at Goodreads again and the range of options is sometimes overwhelming. It's good to have recommendations from someone just to start with. Thank you!